10% off our special winter rate of $150 any night and any room during March and April plus a free bottle of maple syrup. Visit a local Maple Sugar Shacks for free! 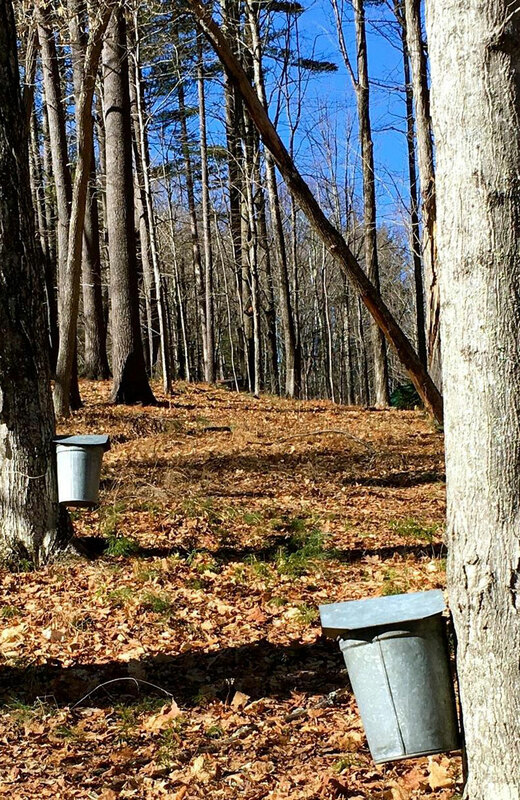 We have nearly 100 maple sap buckets right behind the Sutton House B & B. In amongst the maple trees there is a year round flock of turkeys in residence. Its fun and refreshing to take a short stroll up Coe Hill Road to look for the flock amongst the maple trees. We will be serving this season's home made syrup with our Sunday morning Breakfast Buffet from Mother's Day through Memorial Day Weekend. 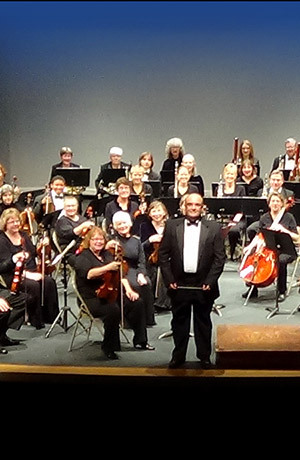 10% off our Spring rate of $150 for any 2 night stay in any available room or suite when attending a Lakes Region Symphony Orchestra concert. Have dinner out followed by a musical night out and cure that cabin fever feeling! On these special weekends in May on each Sunday the Sutton House offers a special Sunday Brunch served outside on our new backyard Carriage House Patio Cafe. We offer many of our guests' favorite dishes while you relax with a view of the spring garden. We are now the only B & B in the Lakes Region powered by the sun with 90 solar panels mounted on the back and side roof areas. We have information sheets and a demonstration sharing our story of how we converted to renewable energy. It's a great memorable way to spend time with your Mom, friends and family. Every year the famous Keepsake Quilter Shop in Center Harbor holds its popular Tent Sale the 1st weekend of June. 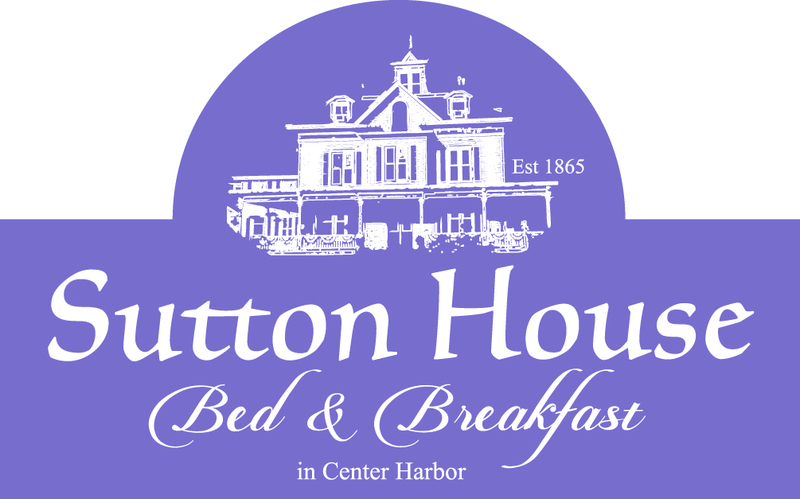 The Sutton House inn keeper is also a quilter and enjoys hosting quilting parties on this weekend. Enjoy 10% off your room rate for a 2 night stay. 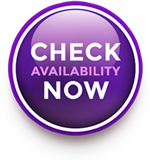 Some of our rooms accommodate up to 4 adults. 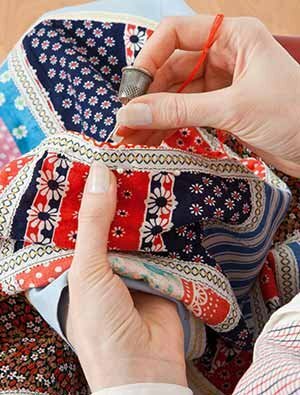 Grab your quilting friends and share the cost! Only $75 a night each! Includes an early breakfast and refreshments so you can get in line early at Keepsake and be among the first to choose this years quilting kits. Please call (603) 253-9750 to take advantage of this offer when booking your reservation. Foldable lawn chairs and early to go breakfasts available. Just Ask!